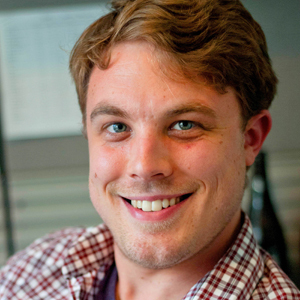 Christopher Shepard is a writer and editor for Beer Marketer’s Insights. Three relatively small beer segments represented less than 7 percent of total volume in 2005, but expanded to almost 14 percent by 2014. In that time, craft steadily tripled to near 19 million barrels (31 gallons each), according to Beer Marketer’s Insights. Cider held at just a couple-hundred thousand barrels while it wasn’t even being tracked with beer volume before it exploded to over 1.8 million barrels in the last few years. Malternatives, alternately called Flavored Malt Beverages (FMBs) or Progressive Adult Beverages (PABs), picked up their growth rate only recently as well. Collectively, the three segments grew by about 14 million barrels since 2005. But larger, mainstream beer segments declined in that time, so total beer volume grew by only 3-4 million barrels. Total beer volume peaked in 2008 after growing in 16 of the previous 20 years. As beer’s popularity grew, the set of flavor characteristics associated with it narrowed. But craft, cider and FMB brands often diverge flavorwise from the vast majority of the beer sold in the U.S. , sometimes significantly. That broadens the scope of the category, appealing to a wider array of consumer palates. Market research finds averages not absolutes, so plenty of exceptions exist. But whereas men tend to report enjoying beer with much greater frequency than women do, the population of drinkers enjoying these three particular segments is closer to evenly split. Not all of the growth in these segments will fit that trend, of course. Typically bitter IPAs still lead craft, for example. And many new fruit beers from craft brewers aren’t as sweet as older iterations, either. But the recent flood of shandies and radlers adds sweet and fruity juices and sodas into the beery mix. The histories of both beverages are clearly rooted in beer. But production of modern versions may not all be quite so straightforward; some shandy production likely looks a bit more like that of FMBs. That process employs a clear malt base, stripped of flavor and color, to which producers can then add back just about any flavor that’ll sell (and some that won’t). Similar questions have been raised about the production of the alcoholic sodas currently taking the beer industry by storm. Producers of some hard root beers, ginger beers and others explain that they’re brewed like ales. Some may be created more like FMBs. Others could fall somewhere between or even use some combo of the two. We may never know. No matter what, they hit that sweet spot that can make legal-age drinkers nostalgic for the sodas of their youths. Interestingly, longtime critics of FMBs charge that the reverse happens, arguing that so-called “alcopops” appeal to underage drinkers. But legal drinkers of all kinds have been clamoring for brands like Small Town Not Your Father’s Root Beer and Coney Island Hard Root Beer, which some align with craft while others with FMBs. Similarly, Redd’s Apple Ale from MillerCoors is typically categorized as an FMB, but its apple flavor reminds of cider. It also certainly checks both the sweet and fruity boxes. No cider can escape its fruity origins, and many remain distinctly sweeter than most beer. But recently cider-makers have been bringing more dry ciders to market. Some innovative takes on the beverage (including hopped versions that tie in closely with craft’s hop obsession) come from a slew of very small, locally focused cideries opening across the U.S. Boston Beer execs have compared the growth of small cider-makers and the level of competition they bring to the segment to similar patterns in the craft segment. So far, Boston’s Angry Orchard continues to grow as the largest U.S. cider brand even as the total cider category slows. The country’s largest brewers only recently started to invest more heavily in ciders, diversifying their portfolio through innovation or acquisition. They’ve done the same in craft, a category built by companies working on small, traditional brew houses. Now companies of all sizes participate in each segment. That’s true of FMBs, too, though early brands emerged differently. Some came from large brewers seeking to attract drinkers (like women) who were then choosing wine coolers. Other brands came from spirits companies. Because malt-based beverages are taxed differently than distilled spirits in the U.S., it was cost effective to use clear malt bases for spirit-branded beverages. Smirnoff Ice, for example, is made with the vodka elsewhere but is malt-based in America. Many suggest that spirit-branded FMBs encourage drinkers to eventually just buy the original spirit brand, perhaps aiding in the faster growth of spirits in recent years. Some recent FMBs from beer companies point consumers back toward beer brands, like the Ritas, a Bud Light Lime extension. The use of the word “ale” in Redd’s Apple Ale does the same, more generally. More and more brands cut across previously clear lines between these three segments (and others). Collectively, they continue to gain share of total beer volume, as fewer and fewer consumers turn to mainstream beer brands. But I still wonder: What do each of these brands invite drinkers to choose next? Christopher Shepard is a writer and editor for Beer Marketer’s Insights, spending most of his time walking the craft beat for Craft Brew News. Hop N’ Gator in the 70’s, Zima in the 80’s…it’s the same old thing. Beer for people who do not like the taste of beer. Sonoma Ciders take it to s new level with just 8 grams of sugar. But even for us beer people, sometimes a heavy spice beer/ale or a cider with a nice crisp kick can top off a day.